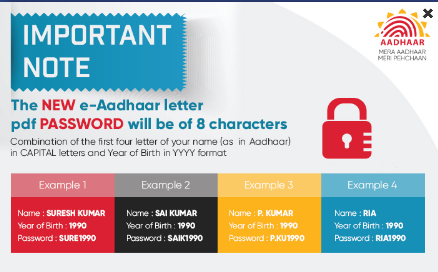 Aadhar Card is an Identification Proof of Indian Citizen containing the details of Aadhar Holder such as name, address, mobile number, gender, date of birth, fingerprint data and its unique Aadhar number. Indian Government makes use of Aadhar Card Necessary many schemes such as LPG gas subsidy, Awas Yojana benefits, banking process, etc. Therefore, if you do not have your Aadhar card, we strongly recommend that you register for the Aadhar registration process in your nearest Aadhar card Kendra. How to Download e-Aadhar ? E-aadhar is also same to the original Aadhar Card. It takes minimum 3 months to get the original Aadhar Card at home by post after the Aadhar registration process. But UIDAI( Unique Identification Authority of India) has a feature, called E-AADHAR, to download Aadhar Card Soft Copy. You can get your E aadhar once your Aadhar Application will successfully Verified. You must follow a few simple steps to download Eaadhar. You must use your mobile phone for verification purposes to receive OTP(One Time Password). =>> Remember You will receive your Eaadhar OTP only on your Registered Mobile Number, Which you have Provided at the time of Aadhar Application Process. How to Download e-Aadhaar using Aadhaar Number ? =>> TOTP (Time based One Time Password), This is a optional field. You can download aadhaar card without OTP if you have mAadhaar android app (want to install, check the Bonus Tip section below ) in your smartphone. 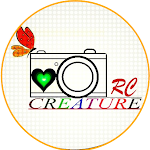 Next Click on Request OTP. =>> If you get an error like your mobile number is not valid, then you can NOT download your aadhaar card online. You must visit the nearest aadhaar center and use your biometric fingerprint to provide your aadhaar card. You can open your aadhaar PDF using Adobe Acrobat Reader or any PDF reader application/software you have ! You will be required a password to open that PDF file. Keep reading, I have shared that password format. 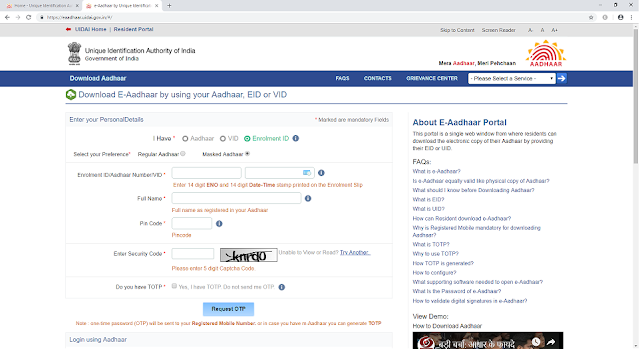 How to Download Aadhar Card/e-Aadhar using Enrolment ID ? Enter your Name as mentioned in your enrolment receipt. Enter captcha security code as mentioned in the curved image there. An Aadhaar PDF file automatically download in your browser. =>> To open your aadhaar pdf, I have added a clear method below. Scroll down to know. The Main part of the aadhaar card is AADHAR NUMBER and the Barcode/Qr code matrix. You can download MAXIMUM 30 aadhaar card from online website monthly. You can get your aadhaar card from any aadhaar center using Biometric if your mobile number is not registered with aadhaar. How to Download E-Aadhaar by Using Virtual ID ? Now enter your 12 digit Aadhaar number and fill the security code displayed there. =>> The OTP will be sent to your REGISTERED mobile number. You’ll be received a message for the successful generation of your VID. You’ll be also received the 16 digits virtual ID on your mobile number via SMS. 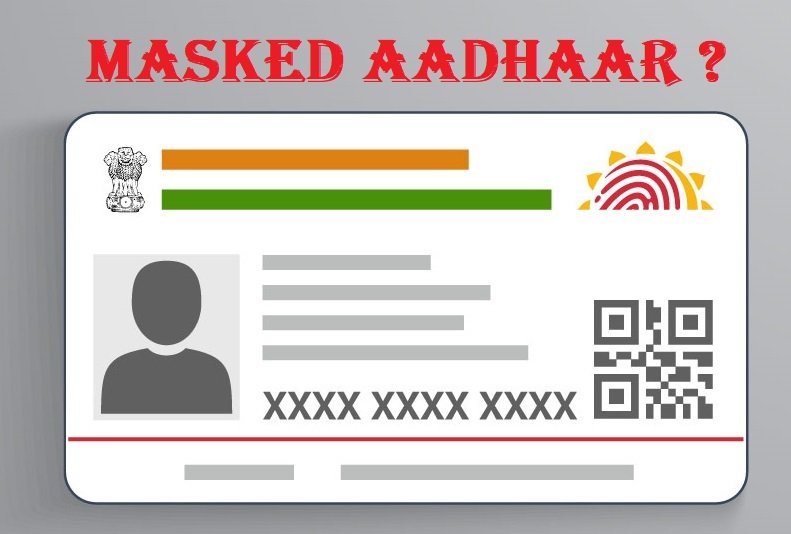 How to Download Masked Aadhaar Card ? Well, before knowing those steps, I just want to to notify you that UIDAI introduced "Masked Aadhaar" which is a 12-digit unique identity option in the downloaded Aadhaar or e- Aadhaar. It is a brand new feature added by UIDAI in order to make the Aadhaar more safer. Now, fill of your Enrolment ID or Aadhaar Number or VID, Full Name, Pincode, and Security Code too. =>> Finally, You’ll get your masked aadhar card in your mobile/computer. 1. UIDAI has all my data including biometrics, bank account, PAN, etc. Will it track my activities? Ans : =>>Absolutely false. UIDAI database has only minimal information that you give at the time of enrolment or updation. This includes: Your name, address, gender, date of birth, Ten finger prints, two IRIS scans, facial photograph, Mobile number and email ID . 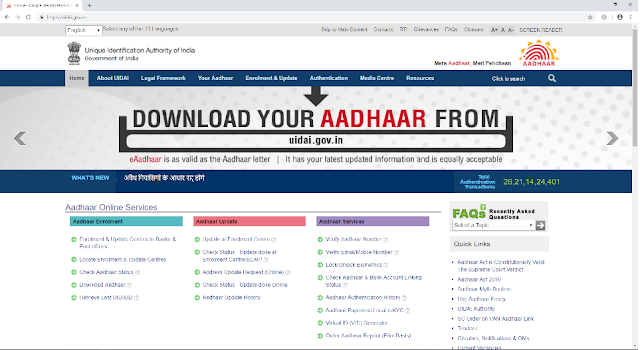 =>> Rest assured, UIDAI does not have your information about bank accounts, shares, mutual funds, financial and property details, health records, family, caste, religion, education, etc and will never have this information in its database. =>> In fact, Section 32(3) of the Aadhaar Act 2016 specifically prohibits UIDAI from controlling, collecting, keeping or maintaining any information about the purpose of authentication either by itself or through any entity. Aadhaar is an identifier, not a profiling tool. 2. But when I link my bank accounts, shares, mutual funds and my mobile phones with Aadhaar, will UIDAI not get these information? Ans : =>>Absolutely Not.When you give Aadhaar number to your banks, mutual fund companies, mobile phone companies, they only send Aadhaar number, your biometrics (given at the time authentication) and your name etc. to UIDAI for verification for your identity. They do not send your bank account details to UIDAI. =>> So far as UIDAI is concerned, it responds to such verification requests by replying either ‘Yes’ or ‘No’. 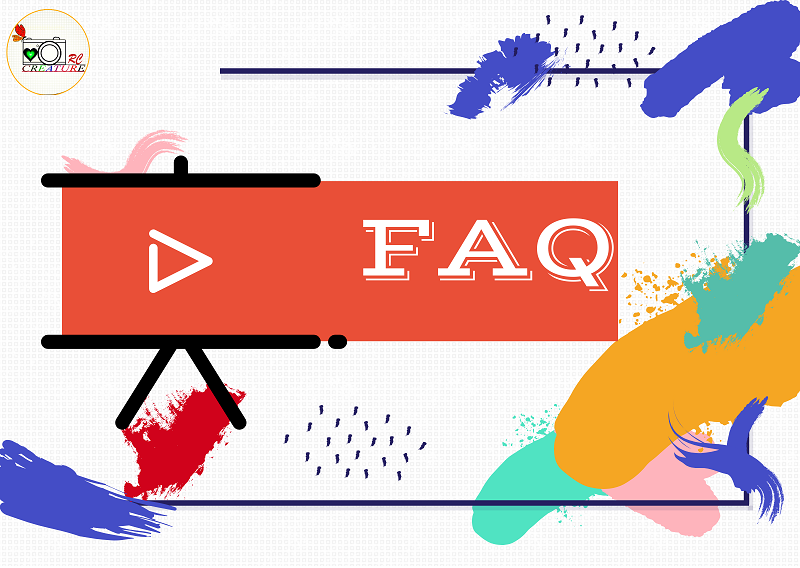 =>> In few cases, if the verification answer is ‘Yes’, your basic KYC details (name, address, photo etc) available with UIDAI, are sent to the service provider.UIDAI never receives or collects your bank, investments, insurance etc. details. 3. Can someone hack into my bank account if they get to know my Aadhaar number ? Ans : =>> Absolutely false. Just like by merely knowing your ATM card number, no one can withdraw money from the ATM machine; by knowing your Aadhaar number alone, no one can hack into your bank account and withdraw money. =>> Your bank account is safe if you don’t part with your PIN/OTP given by banks. =>> Rest assured, there has not been a single case of financial loss due to Aadhaar. Aadhaar number alone cannot be used for banking or any other service. 4. Why am I being asked to link all my bank accounts with Aadhaar ? Ans : =>> For your own security, it is necessary to verify identity of all bank account holders and link them with Aadhaar to weed out the accounts being operated by fraudsters, money-launderers, criminals etc. =>> When every bank account is verified and linked with Aadhaar and then If anyone fraudulently withdraws money from your account, through Aadhaar such fraudster can easily be located and punished. 5. Why am I being asked to verify and link my mobile numbers with Aadhaar ? Ans : =>> For your own security and security of our country, it is necessary to verify identity of all mobile subscribers & link them with Aadhaar to weed out mobile numbers being operated by fraudsters, money-launderers, criminals etc. =>> It has been found that most criminals and terrorists get SIM cards issued in the name of fictitious and even real people without their knowledge and use them for committing frauds & crime. =>> When every mobile number is verified and linked with Aadhaar, then fraudsters, criminals, and terrorists using mobiles can be easily identified and punished in accordance with law.Verify your mobile SIM with Aadhaar to boost national security and your safety. Bonus Tip : To download aadhar or e-aadhar, then install mAadhar app (directly) and get benefits. 6. Can the mobile company store my biometrics taken at the time of SIM verification and use it for other purposes later? Ans : =>> No one, including, mobile phone companies can store or use your biometrics taken at the time of Aadhaar verification. =>> The biometrics are encrypted as soon as Aadhaar holder places his finger on fingerprint sensor and this encrypted data is sent to UIDAI for verification. =>> Regulation 17(1)(a) of the Aadhaar (Authentication) Regulations 2016, strictly prohibits any requesting entity which includes mobile phone companies, banks etc from storing, sharing or publishing the finger-prints for any reason whatsoever and neither shall it retain any copy of such fingerprints. =>> Any violation of this provision is a punishable offence under the Aadhaar Act 2016. Your biometrics are encrypted the moment you give them.7. Do NRIs need Aadhaar for banking, mobile, PAN and other services? =>> Aadhaar is only for residents of India. NRIs are not eligible to get Aadhaar. =>> The respective service providers like banks and mobile companies have laid down NRI-specific exemptions. =>> NRIs should simply tell the banks and other service providers such as credit card companies etc that they are not required to provide Aadhaar numbers by virtue of being non-resident Indians.NRIs are exempted from linking Aadhaar with various services. 8. Aren’t the poor being denied essential services like pension & ration for want of Aadhaar? Ans : =>> No. It is clearly mentioned in Section 7 that until a person is assigned an Aadhaar number, he/she cannot be denied ration or pension or such other entitlements for want of Aadhaar and the concerned department should verify the identity of the person using alternate means of identification as per the relevant notification. 9. Why are some agencies not accepting eAadhaar and insist on original Aadhaar? Ans : =>> eAadhaar (downloaded Aadhaar) from UIDAI website is as legally valid as original Aadhaar issued by UIDAI. Both should be acceptable by all Agencies. =>> In fact, downloaded eAadhaar, mAadhaar profile has updated address etc of the Aadhaar holders and therefore should be preferable. =>> If anyone refuses to accept downloaded eAadhaar, the Aadhaar holder may lodge complaints with higher authorities of those departments/ agencies.All agencies should accept eAadhaar/ mAadhaar. They are equally valid. 10. How has Aadhaar benefited the common man? Ans : =>> Aadhaar has benefited a common person in innumerable ways. Foremost is with a credible identity. =>> Aadhaar has empowered by now more than 119 crore residents with a verifiable identity. Today, the fact is that, Aadhaar inspires more confidence and trust than any other identity document in India. =>> For example, if you are an employer, which identity document will you prefer from your prospective employees? Or, just ask your maid servant, household help, driver, poor living in slums & villages as to how they are using Aadhaar to prove their identity to get jobs, open bank accounts, for rail travel, and to get various entitlements & government benefits directly into their bank accounts without middlemen. =>> Ask them and they will tell you how empowered they are by having Aadhaar. Aadhaar is empowering people with a trusted verifiable identity. 11. Is it true, as we keep hearing in media that Aadhaar data was breached? Ans: =>> Aadhaar database has never been breached during the last 7 years of its existence. Data of all Aadhaar holders is safe and secure. =>> Stories around Aadhaar data breach are mostly cases of mis-reporting. 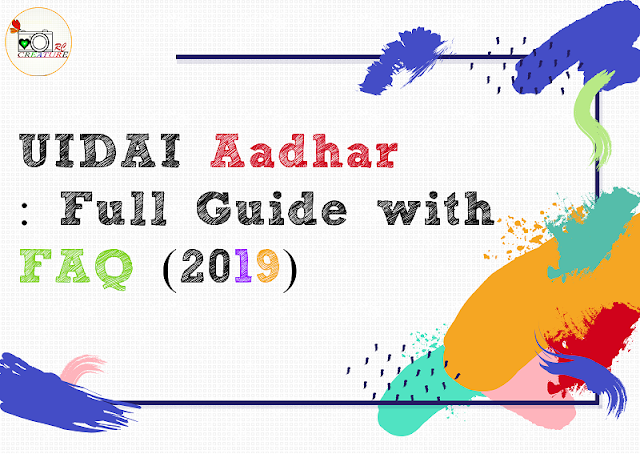 =>> UIDAI uses advanced security technologies to keep your data safe & secure and keeps upgrading them to meet emerging security threats & challenges.Aadhaar data is fully safe and secure at U. At last, I completed this article. 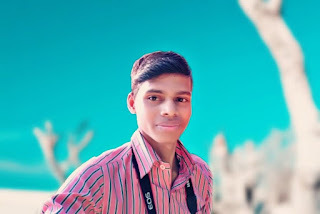 I know you liked it and enjoyed a lot while reading. Let me know if you have any problems or doubts regarding e-aadhar download or aadhar card download in comment box below. Thank You ! !